For me being a writer is organic and not a choice. The need to tell stories was in place long before I became aware of it and started writing. Before I wrote I took neighborhood kids on long treks to nowhere in search of caves and prehistoric bones that existed only in my frontal lobe. When I was nine, I kept a diary in which I recorded the astronauts landing on the moon and the deaths of JFK and MLK from a child’s perspective. I used this writing to form grammar and point of view for my ten year Brady character as she watches everyone who loves her fight each other in court to get custody of her. We’ve all been tutored with the adage, “Write what you know.” But I heard another writer say, “Write what you want to know.” That is why I write. In the process of writing I discover answers. I have learned that if you really want to understand someone who disagrees with you, write from their perspective. Their logic becomes not so threatening but clear. 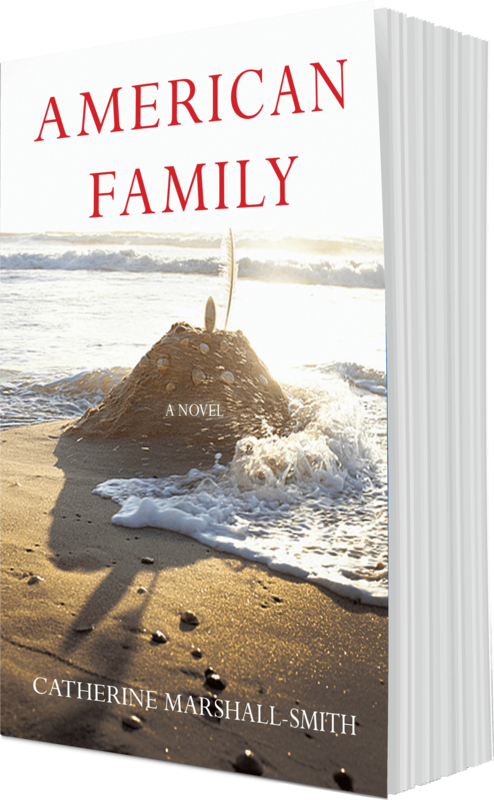 In American Family I had to write from the point of view of a ten year old girl, a gay man, a fundamentalist Christian; and I am none of these. In an early draft, members of my writing group said they wouldn’t want the grandparents to keep custody of their granddaughter because they seemed to the readers to be cold and unloving. I realized I had been affected by anti-Christian sentiment when building their characters. I had to take a step back, roll up my sleeves and start all over again. In the next attempt sweet, affectionate scenes came out showing a real relationship between Brady and her grandparents. The grandfather character wasn’t homophobic, bigoted or judgmental; he loved his granddaughter and he wanted to raise her. This epiphany I wove into the story and it wove into my thinking about today’s politics. Judging people as ignorant because they disagree with you further polarizes us. Striving to find common ground brings us together. I write to understand what I couldn’t have before.